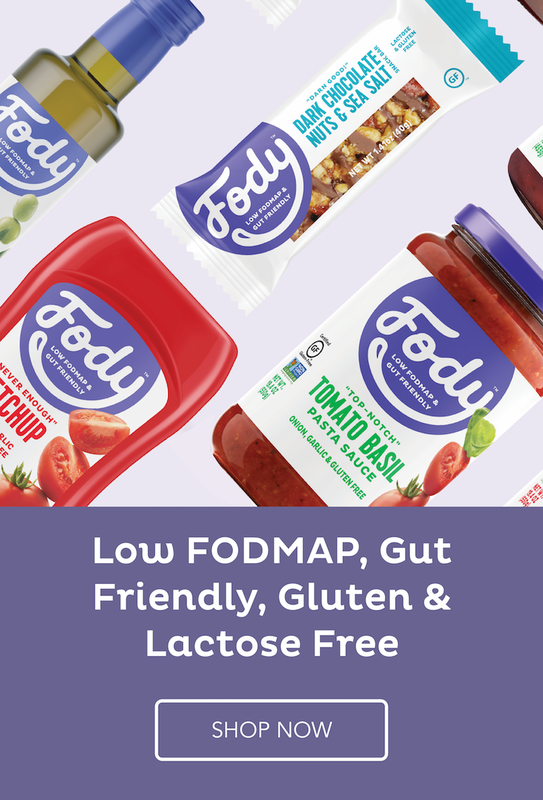 What is a Low FODMAP diet? A great variety of a Low FODMAP recipes. Approved by a Low FODMAP dietitian Evelyn Toner. Never be bored on a low FODMAP diet! 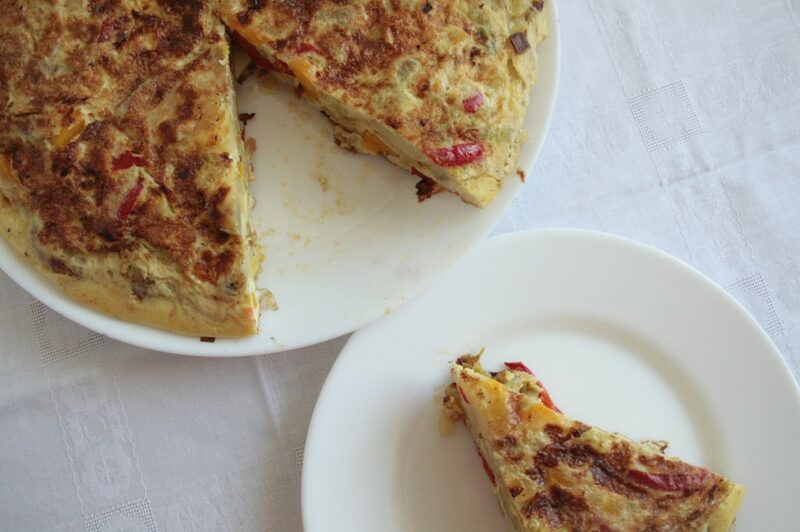 Low FODMAP Spanish Omelette is a great vegetarian Low FODMAP lunch or dinner, that can be served on its own or as a side of tapas. I was taught how to make it by a Spanish person and she was preparing it with peppers as well, even though the original Spanish version usually contains just potatoes and onion. Onion, of course, is not suitable on a Low FODMAP diet, and it was replaced here by green leek. I also didn’t peel the potatoes for the omelette, before frying, because it is much less work and same great flavour. Recipe approved by a Low FODMAP dietitian, Evelyn Toner (the_active_dietitian on Instagram). Of course, you need to wash all of the vegetables. Don’t peel the potatoes, because a lot nutrients is in the skin and flavour will be the same. Chop potatoes in half or quarters, depending on the size. Slice them to the thickness visible on the first photograph above. Pour olive oil in a preheated non stick pan. Place the sliced potatoes in the pan, as the potatoes will take the longest to cook. 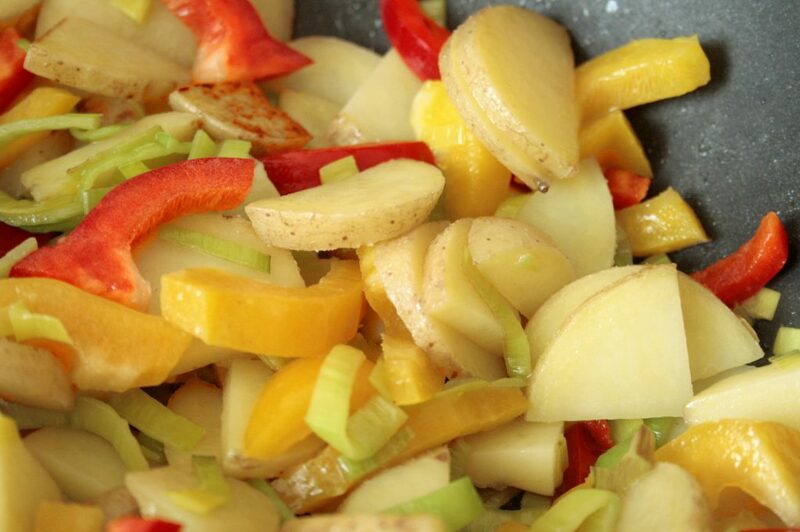 When potatoes start softening, add sliced peppers adn after a while, chopped green leeks. Keep turning to make sure that the vegetables won’t burn. When vegetables are soft, especially the potatoes, you can break 6 eggs into a bowl, with a pinch of salt and whisk them. Season the eggs with salt and pepper. You can also season a bit the veggies, according to your taste. If you like spice, you can even add a Spanish smoked paprika powder. The whisked eggs go in the pan with the vegetables. Move the vegetables a bit, so the egg reaches fully the bottom of the pan. Fry the omelette on low, covered. You need to be careful, because often it might start burning on the bottom before the top is set. – Take a plate that will fit in the pan. 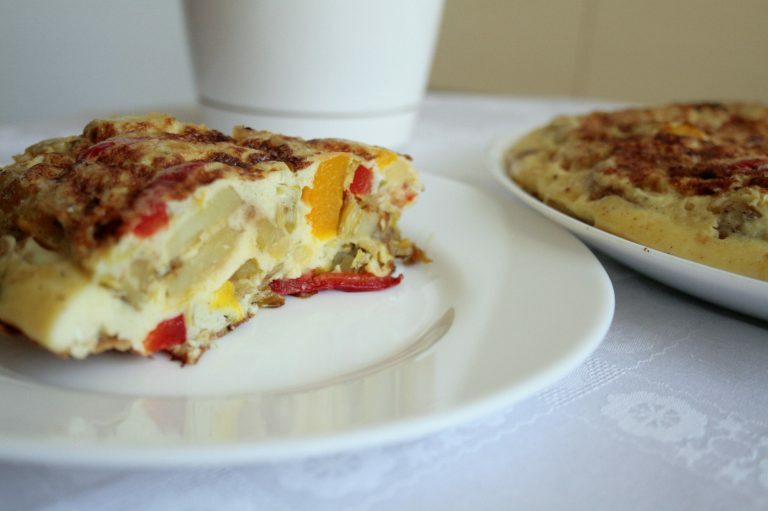 – Cover the omelette with a plate that is put up side down in tha pan. – Holding the plate with right hand, quickly turn over the pan, holding it by the handle with the left hand. Omelette is now on the plate. 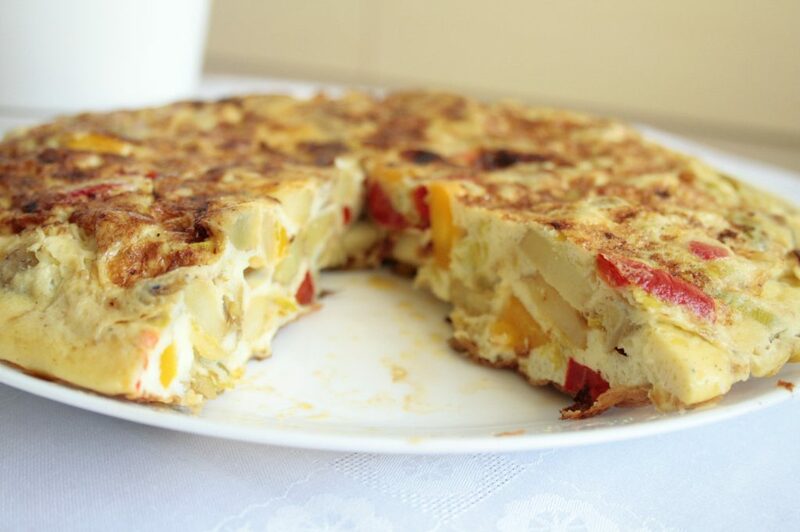 – Now just slide the Spanish Omelette back in the pan, to finish frying the other side. This won’t take long. To serve, place a clean plate again serving side down on the omelette that is in the pan and turn it over. Serve on its own, as a tapas, or with a Low FODMAP simple salad. There are much more low FODMAP lunch recipes on the blog. 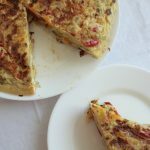 Low FODMAP Spanish Omelette is a great vegetarian Low FODMAP lunch or dinner, that can be served on its own or as a side of tapas. I was taught how to make it by a Spanish person. - Take a plate that will fit in the pan. - Take a plate that will fit in the pan.- Cover the omelette with a plate that is put up side down in tha pan. - Holding the plate with right hand, quickly turn over the pan, holding it by the handle with the left hand. Omelette is now on the plate. - Now just slide the Spanish Omelette back in the pan, to finish frying the other side. This won’t take long. Newsletter – sign up to get a free e-book! 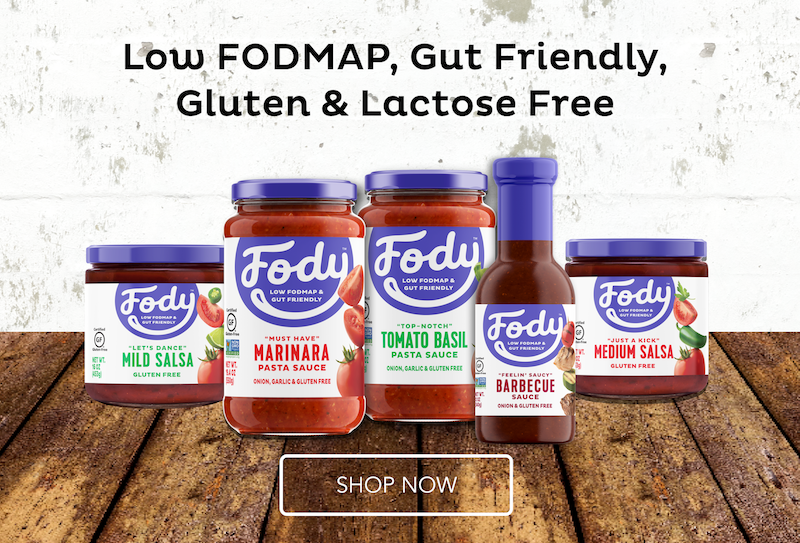 My name is Maria, welcome to Fit FODMAP Foodie! 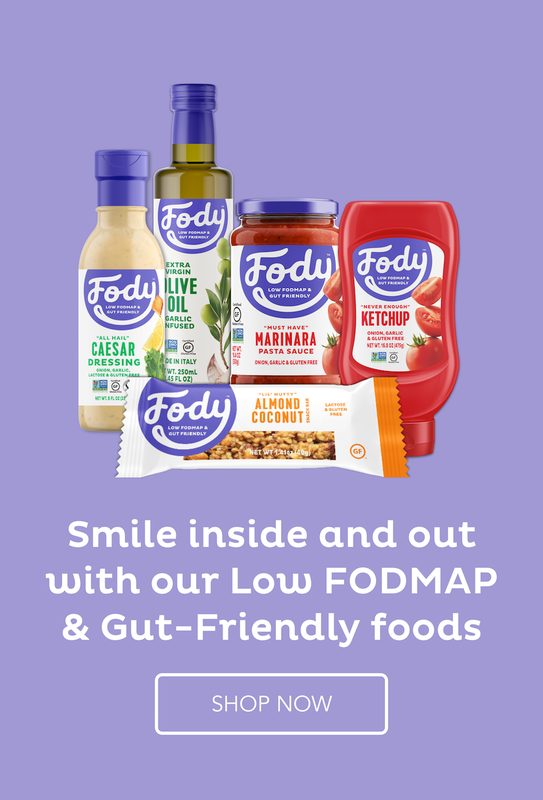 I created this blog, because I think that being on a Low FODMAP diet, you can still eat a variety of healthy, balanced foods, that are good for your gut and general health. 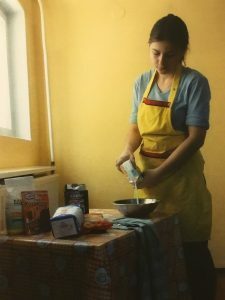 All of my recipes are Low FODMAP, mostly gluten free and lactose free, they include a nutrition facts and are approved by a Low FODMAP dietitian, Evelyn Toner.